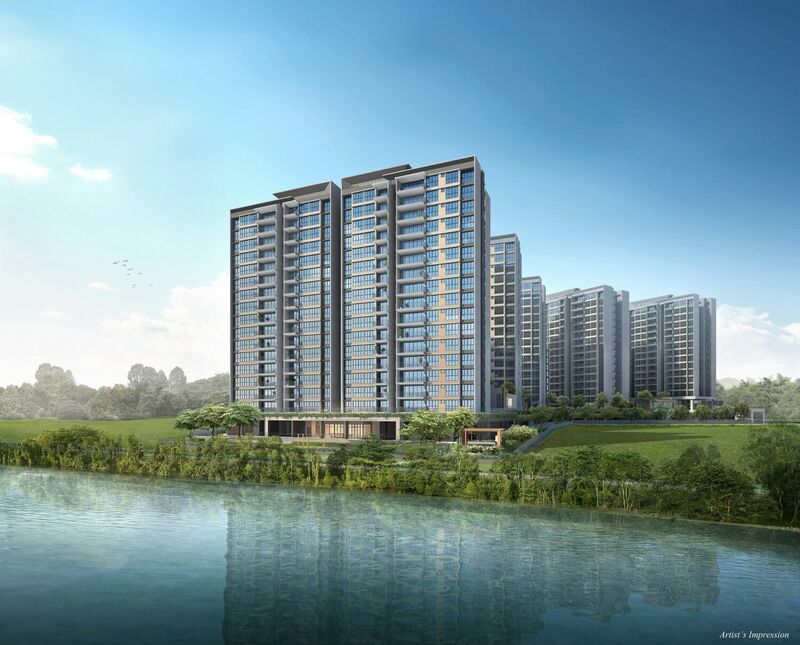 Rivercove Residences EC at Anchorvale Lane is a new launch executive condominium (EC) by Hoi Hup Realty. The 2.1 ha EC site which is listed under the confirmed list of the second half 2016 Government Land Sales (GLS) Programme attracted intensive bidding competition from 16 developers. Rivercove Residences EC which is expected to be launched in late 2017 or early 2018 will be the last EC launch in the market till 2019. 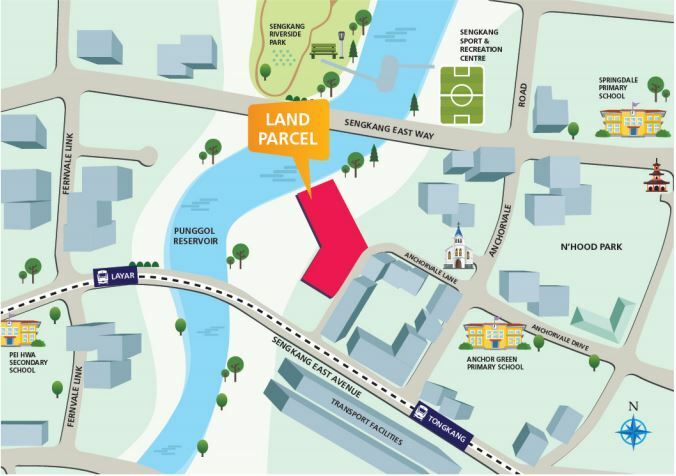 The Anchorvale Lane EC is situated beside Punggol Reservoir and close to Tongkang LRT station and expected to yield 635 residential units. Executive condominium sales have been in the rise. Hundred Palms Residences EC is the most recent EC launch, coincidently by Hoi Hup Realty too. The 531 units EC is fully sold on the first day of launch, with many prospective buyers went home disappointed and empty handed. Urban Redevelopment Authority’s data shows that developers sold 3,004 EC units in the first seven months of 2017, up 11 percent from last year, where only 1,555 EC units launched in the same period. According to analysts, the lower supply of new EC units has driven up demand. The number of unsold uncompleted EC units fell by 54 percent to 1,591 units in Q2 2017 from the previous year. Low supply of EC units – 1,591 unsold uncompleted units in Q2 2017. Only 2 EC launches in the next 2 years, Anchorvale Lane EC and Sumang Walk EC. There may be ZERO EC unit available in 2H 2019. Affordability – 20% cheaper in PSF as compared to private condominium. Enjoy grants up to $30,000 for 1st timer. Buying an Executive Condominium a no-brainer for those who qualify. ECs provide a very viable option for buyers to consider, either as their first home or an upgrading option. However, not just anyone can buy an EC. The purchase of an EC is only for those who meet the stringent eligibility criteria. This select group of people should capitalise on this opportunity to own an EC and with it, a whole new lifestyle. For more information on Rivercove Residences EC by Hoi Hup Realty, simply fill up your details below and our salesperson will get in touch with you shortly!